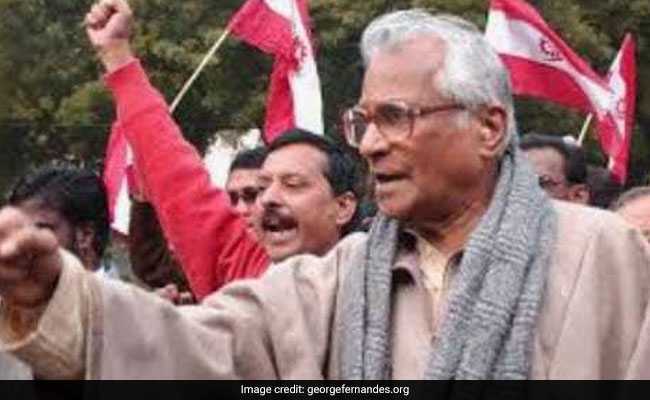 George Fernandes, one of the top leaders of the socialist movement in the 1970s, was a senior Janata Dal leader before he founded the Samata Party. 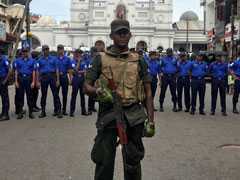 He was arrested during Emergency for "Baroda Dynamite Conspiracy"
George Fernandes, a former Defence Minister of India, has died at 88. He had been unwell and bedridden over the past few years. George Fernandes served as Defence Minister between 1998 and 2004. One of the most prominent leaders of the socialist movement in the 1970s, George Fernandes was a senior Janata Dal leader before he founded the Samata Party. Apart from the defence ministry during the Atal Bihari Vajpayee-led government, Mr Fernandes held several ministerial portfolios including communications, industry and railways. Mr Fernandes was born in Mangaluru in 1930 and was training to be a Roman Catholic priest when he was drawn to trade union politics. He rose to prominence after his surprise victory in the 1967 parliamentary elections, over a Congress veteran in Mumbai. In 1974, he organised a nationwide railway strike. During the 1975 Emergency imposed by the Indira Gandhi-led Congress government, George Fernandes was arrested for what was dubbed the "Baroda Dynamite Conspiracy" to blow up government establishments and railway tracks. He contested the 1977 election from jail and won the Muzaffarpur constituency in Bihar by a landslide. George Fernandes became a hero of the Emergency. He was made minister when the Janata Party came to power in 1977 with Morarji Desai as Prime Minister. One of his prominent acts at the time was to force the exit of Coca Cola and IBM, which had refused to dilute their stake in their Indian associates. Coke left India and returned only two decades later. As Atal Bihari Vajpayee's Defence Minister, Mr Fernandes oversaw the Pokhran nuclear tests of 1998 and the Kargil war. Already under attack over the "Coffingate" scandal - he was later absolved by two commissions of inquiry - George Fernandes stepped down as the Defence Minister in 2001 after the Tehelka expose that cast a shadow on his final years in office. He was back as Defence Minister eight months later. George Fernandes was a parliamentarian last as a Rajya Sabha member in 2009-2010.